At South Lakewood Dental, patients have the ability to enjoy a conversation with a dental professional to learn about the options available to them when it comes to replacing missing teeth. Dr. Scott Stewart and his team offer quality denture services, including some of the best dentures in the community. When patients think of dentures, they often think of their grandparents’ false teeth – fake, unnatural looking teeth that failed to stay in place during meals and social situations. This often leads patients to believe that dentures are not a good choice for replacing missing teeth. However, dentures have come a long way over the years, and Dr. Scott Stewart is excited to provide patients with dentures that not only look natural and function well, but also improve the overall appearance of the face. These dentures address the implications of the facial area that can occur with traditional dentures due to bone loss. Many patients have this “sunken in” appearance that occurs when they are wearing conventional dentures for a long period of time. With his quality dentures, patients can counteract this appearance while enjoying a more youthful look with lasting tooth replacements. Full cosmetic dentures are a wonderful option for patients who need to replace an entire arch of teeth. They are typically held in place with denture adhesives or even natural suction. However, patients have other options available to them, including implant-supported dentures. Implant-supported dentures are full dentures that replace an entire arch but snap into place with the use of dental implants. These implants are strategically placed along the arch to hold the dentures and provide stabilization. This eliminates the chance of the dentures falling out and allows patients to enjoy all their favorite foods without worry. What other types of dentures are available? Dr. Scott Stewart also provides partial dentures for patients in his practice. South Lakewood Dental may suggest partial dentures for patients who are replacing just one missing tooth or several along the dental arch. The partial denture is fabricated with acrylic and metal framework that uses the existing teeth in the mouth as support. The denture slides into place and allows false teeth to fall in line with the existing teeth. Partial dentures are also desirable because they are easily removable for cleaning and care. They are affordable for patients who cannot address their missing teeth with costlier options such as implants and bridges. Who is a candidate for the placement of full cosmetic dentures? 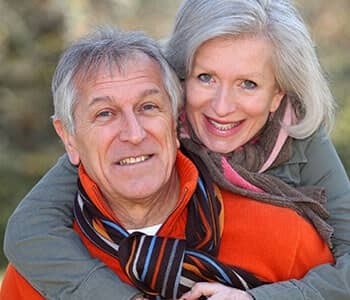 Full cosmetic dentures are available through South Lakewood Dental for patients who are interested in this technique. 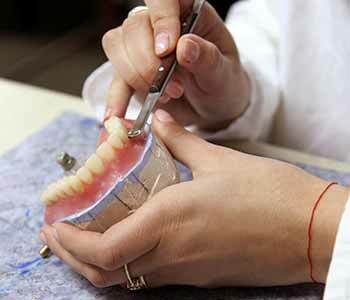 Most patients are appropriate candidates for dentures, as they can work with any type of smile. Patients are urged to schedule a consultation appointment with Dr. Scott Stewart during which x-rays can be taken to evaluate the health of the smile overall, and he can make suggestions. We educate our patients on the options available to them and help them make knowledgeable decisions as to how to pursue the reconstruction of their smile. Some of our patients may be excited to learn that other options may be beneficial to them, including dental bridges and dental implants. Our front office team can also work with dental insurance companies to determine overall dental insurance benefits to get patients an approximate cost for treatment. 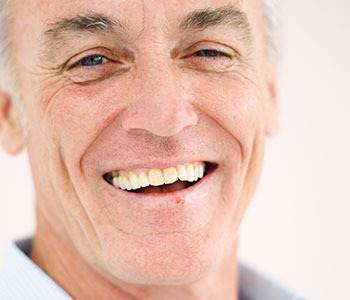 Are you interested in discussing denture services with a Lakewood, Colorado area professional? Dr. Scott Stewart is dedicated to helping patients in the area achieve the smile of their dreams, even when dealing with the replacement of missing teeth. Dentures are a great way to address several missing teeth at once, and getting quality restorations is important for a natural appearance and effectiveness. Call the practice today at (855) 233-0023 or visit the office at 2525 S. Wadsworth Boulevard, Suite 11. We accept new and existing patients in our facility for comprehensive dental care services to improve appearance, function, and oral health of the smile.